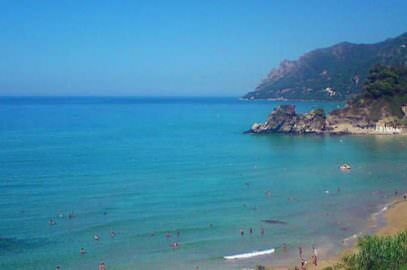 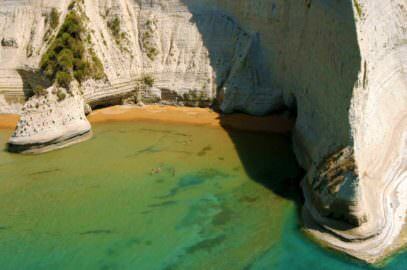 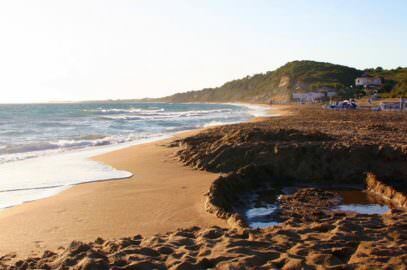 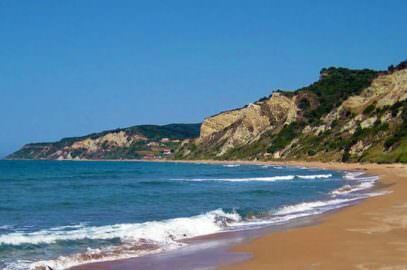 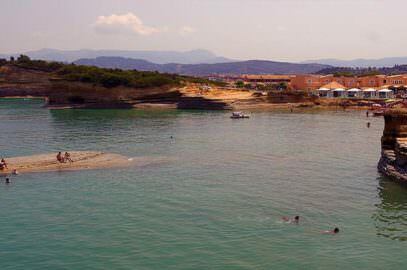 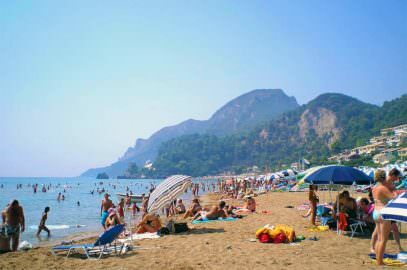 Another huge, golden beach with fine sand in southwestern Corfu is Marathias. 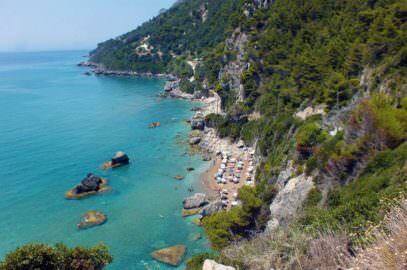 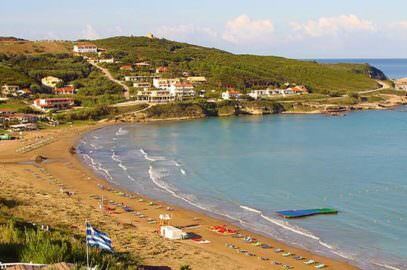 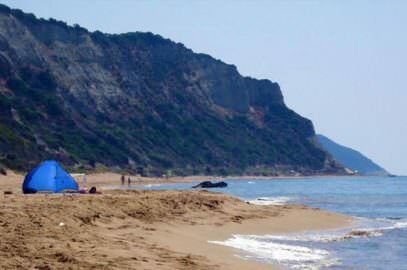 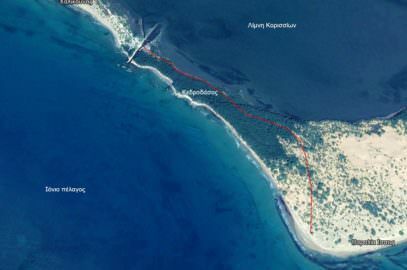 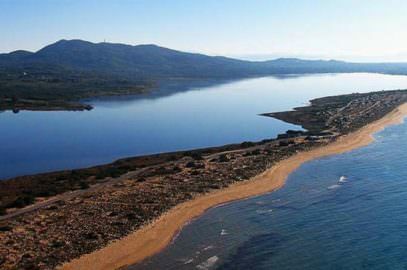 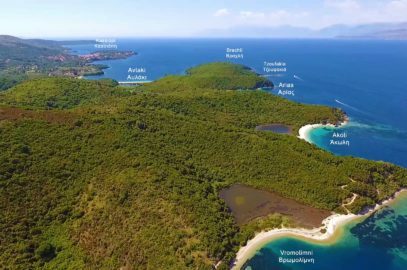 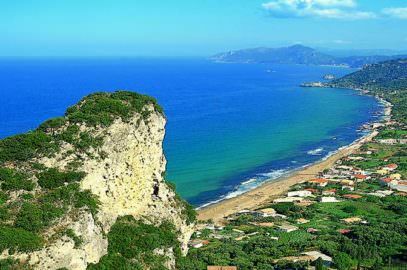 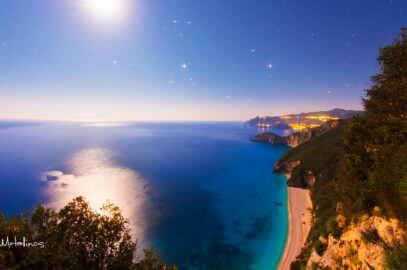 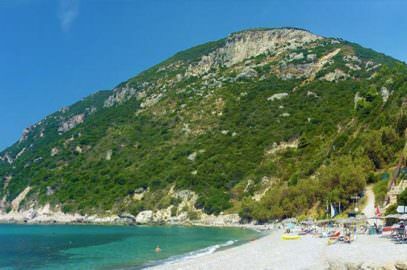 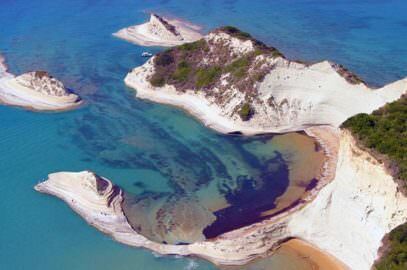 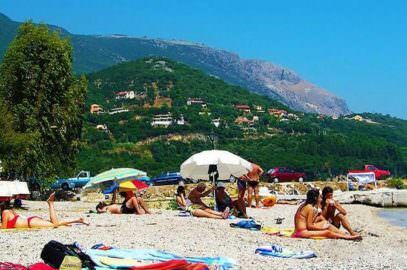 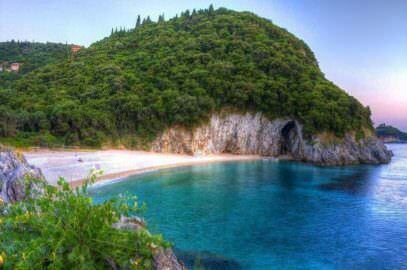 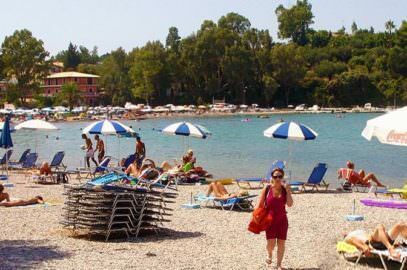 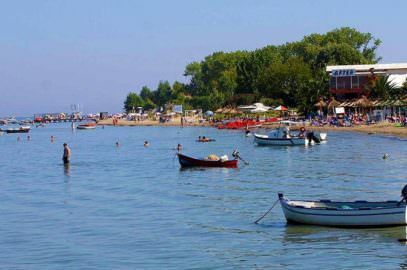 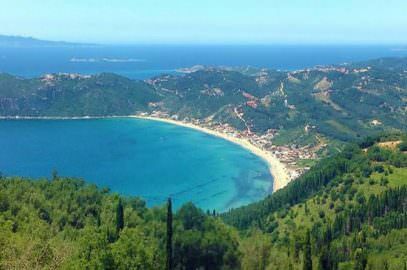 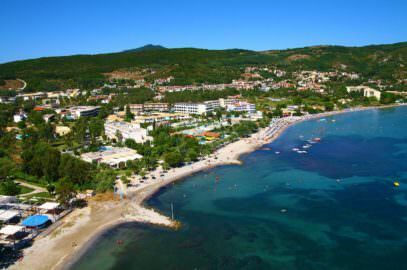 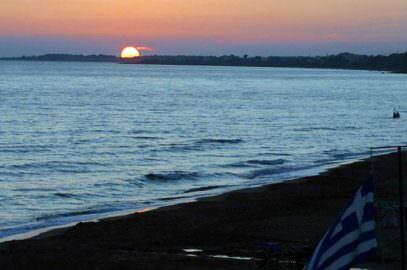 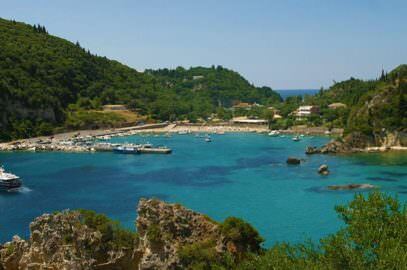 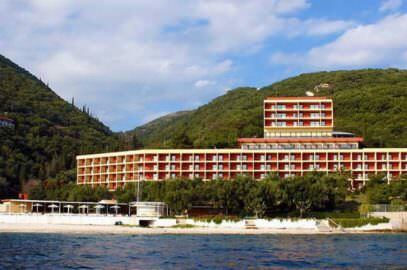 It is the beach of the homonymous village of Marathia and is about 30 kilometers distance from the city of Corfu. 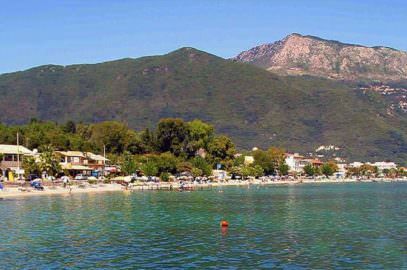 At the north begins where the beach of Agios Georgios of Argyrades ends and to the south ends at Santa Barbara Beach (yet I do not understand why they called it so) with which it has no clear boundaries and in fact the two beaches form together a long sandy beach stretched for about 4 kilometers up to where the beach of Vitalades begins. 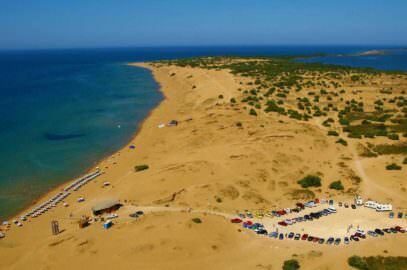 If you are looking for a quieter spot away from the crowded central part, you have 4 km of endless sand to walk to the south. 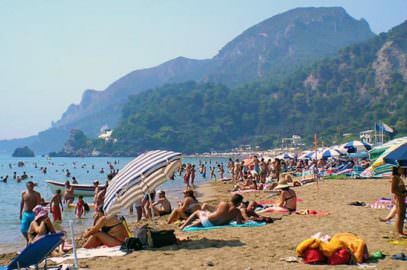 The beach is organized with sun loungers and umbrellas and several restaurants along it, and it also offers water sports. 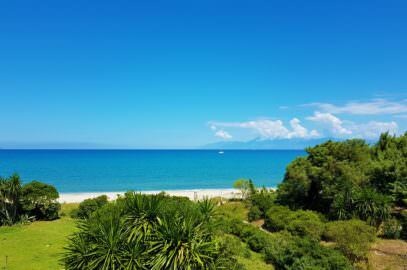 Of course, the waters are crystal clear due to the open sea and sand is very fine, it is also very good for families with children since it does not deepen abruptly. 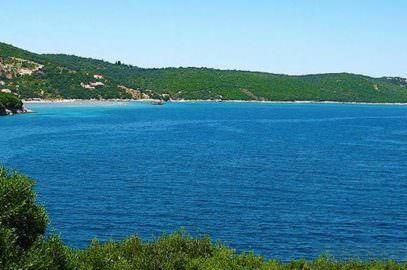 On the main road, you will see signs showing the route, you may also find signs that point to Malta beach, follow them, it’s the same place with a different name.